A day will come when the world will be destroyed and the dead will be resurrected for judgment by Allah. This day will be the beginning of a life that will never end. This day is the Judgment Day. On that day, all people will be rewarded by Allah according to their beliefs and deeds. 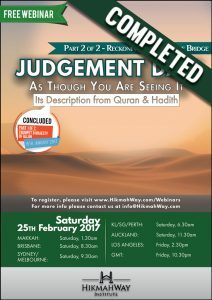 Continuing from last month’s webinar, in this part 2 we will talk the next phase during Judgement Day, the Reckoning, Scales & The Bridge. 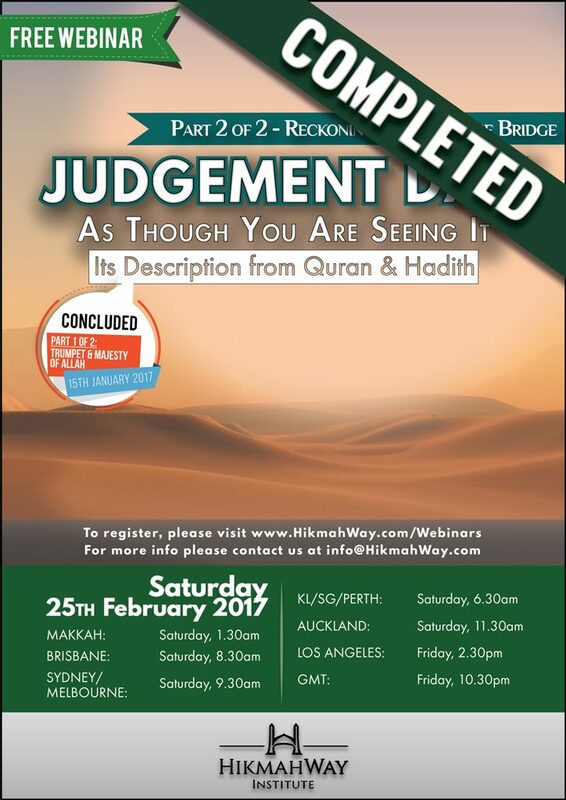 Register to our webinar on the topic, “Judgment Day – As Though You Are Seeing It, It’s Description from Quran & Hadith” series. Register to part 2 of 2 of the series, “Reckoning, Scales & The Bridge” now!